Monitors come in different shapes and sizes, with different resolutions and panels, but a good monitor isn’t necessarily about pushing the envelope like the Acer Predator X27 or just being as cheap as possible. 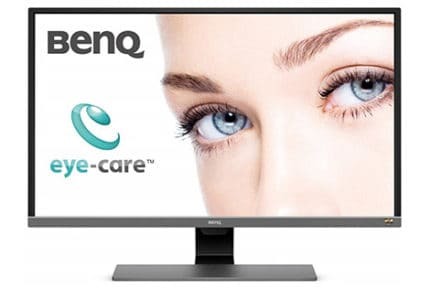 In our book, the best product is usually the one that offers the best value for your money, and that’s precisely what the BenQ EL2870U aims for. It stands out for several reasons, the main one being that it’s a fairly affordable high-quality 4K monitor, but more interestingly, it is one of the few TN monitors to support HDR. 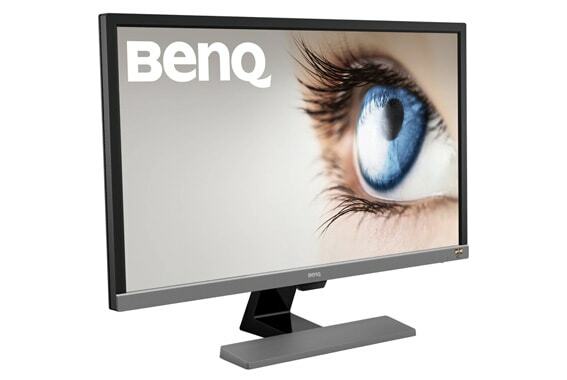 The BenQ EL2870U looks quite good as far as outward appearance is concerned. The black and gray, naturally, go very well together and make for a design that manages to be neutral and fairly inconspicuous without coming off as generic or uninspired. The stand is a bit blocky and may come off as cheap at first glance, but this particular design and the rectangular base also work well with the overall image that BenQ seems to be aiming for. More importantly, the stand is stable and fulfills its purpose, though it can only be adjusted for tilt. This, of course, is nothing new when it comes to the more affordable monitors, and as expected, this one is compatible with any 100×100 VESA wall mount or stand. As such, you won’t have to go through much trouble if you ever need to replace the stock stand with something more adjustable or something a little more elegant. Overall, we like the design, though some may dislike the relatively thick bezels or the bulky stand. Nonetheless, it stands out more than most other 4K gaming monitors in this price range and it will blend in well with most setups. 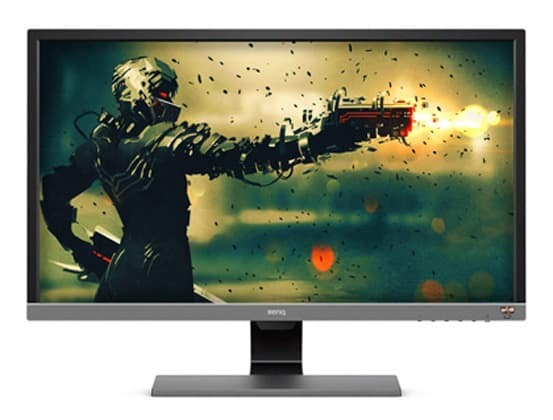 The BenQ EL2870U is a 16:9 28-inch monitor that features a 4K TN panel with a refresh rate of 60Hz, a 1ms gray-to-gray response time, and HDR10 support. Most will agree that 28 inches is the perfect size for a 4K gaming monitor (or a QHD one at that) since it’s neither too large to be used comfortably at a desk nor is it too small to do the resolution justice. Performance-wise, it is precisely what we’d expect to see in a TN monitor, featuring a snappy 1ms response time, though unsurprisingly, this is still only a 60 Hz monitor, as we are yet to see some affordable 144 Hz 4K options. 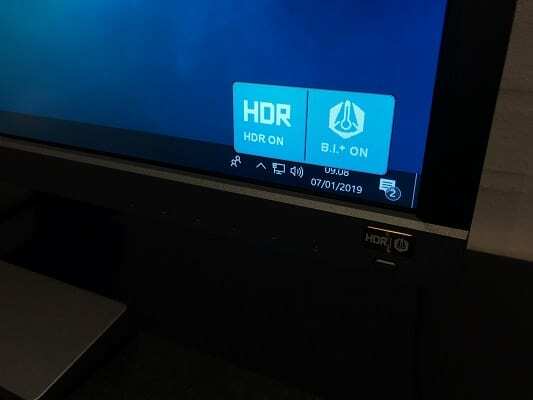 And despite not having a high refresh rate, the monitor supports AMD FreeSync, providing a good V-Sync alternative if you can’t maintain a constant 60 FPS in 4K, which will likely be the case with many games. And yes, the monitor really does support actual HDR, though with the brightness of only 300 cd/m2, it’s not exactly the best HDR solution around. However, the color reproduction is actually quite good for a TN panel, with a 96% sRGB color gamut. That said, it still won’t appeal to professionals who really ought to stick to IPS, but when it comes to gaming, this definitely looks better than your average TN panel. 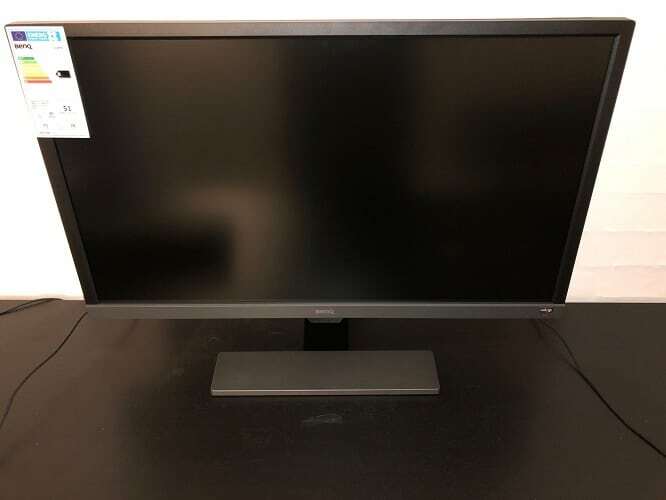 As already stated, the monitor supports FreeSync i.e. AMD’s take on adaptive sync. And why do you need it, in a 60Hz monitor no less? Well, we have to keep in mind the purpose of adaptive sync – preventing screen tearing that’s caused by the FPS falling out of sync with the monitor’s refresh rate. And while V-Sync achieves this by imposing a hard cap on how many frames a monitor can display each second – 30 or 60 FPS – adaptive sync constantly adapts the refresh rate to the framerate, thus keeping them in sync regardless of the inevitable FPS fluctuations. Needless to say, it’s obvious as to why this is a vital feature for 144 Hz and 240 Hz monitors, but while it’s not commonly implemented in 60 Hz ones, it actually comes in handy this time. Namely, due to how demanding 4K still is, you are bound to see some FPS dips even if you have a fairly powerful GPU. 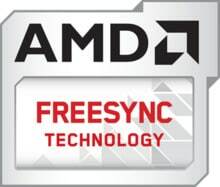 When it comes to this model, FreeSync works only in the 40-60 FPS range, as stated on AMD’s site. Plus, this isn’t FreeSync 2, so FreeSync and HDR can’t be active at the same time, which is a bit of a disappointment. Speakers are one of those features that can be convenient to have but that most people can live without. What is certain is that speakers should never be an important factor when it comes to choosing a monitor. Well, to put it bluntly, monitor speakers are usually bad. This is due to low RMS and small drivers that are bound to be inadequate for gaming and most multimedia content. Sure, it can’t hurt having them as a backup that you can use when watching YouTube videos and the like, but for anything more serious, they just won’t suffice. Not only that, but you can find a range of good desktop speakers which really don’t cost that much and which are capable of producing much better audio than what most built-in monitor speakers are capable of. 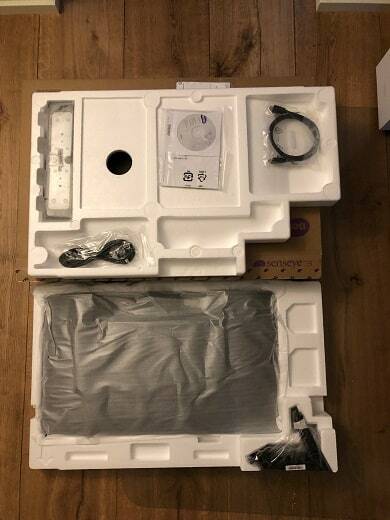 That said, the speakers found in the BenQ EL2870U are largely unimpressive with their low 2-watt RMS, and this is pretty much what you get with most monitors. So, the bottom line is, integrated speakers can be a decent backup, but don’t base your choice on whether a monitor has speakers or not. The Brightness Intelligence Plus Technology, abbreviated as B.I. +, is a handy little feature that can be turned on with the press of a button. It uses an onboard light sensor to measure the ambient brightness and adjust the brightness and the color temperature of the screen accordingly. Not a major feature by any means, but definitely good to have if you find that late-night gaming sessions tend to hurt your eyes. 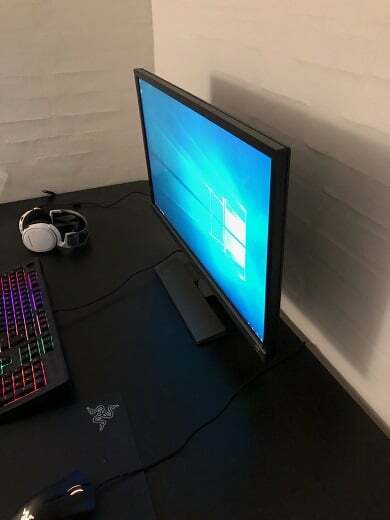 Overall, the BenQ EL2870U is in a bit of an awkward spot. 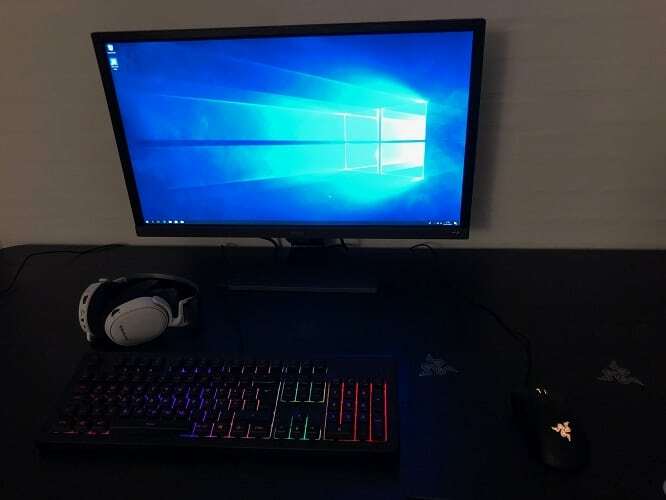 On the one hand, it is a high-quality 4K monitor with a very good TN panel that seems like a highly appealing solution for those who are trying to fit a 4K gaming monitor into their budget, and it even has HDR and FreeSync support. On the other hand, with its limited brightness and contrast, the HDR doesn’t look as good as it does with most IPS and VA monitors or TVs. Furthermore, the implementation of FreeSync is a bit lacking. As already mentioned, the 40-60 FPS range is a bit narrow and FreeSync 2 would have been a welcome addition since the monitor already supports HDR. 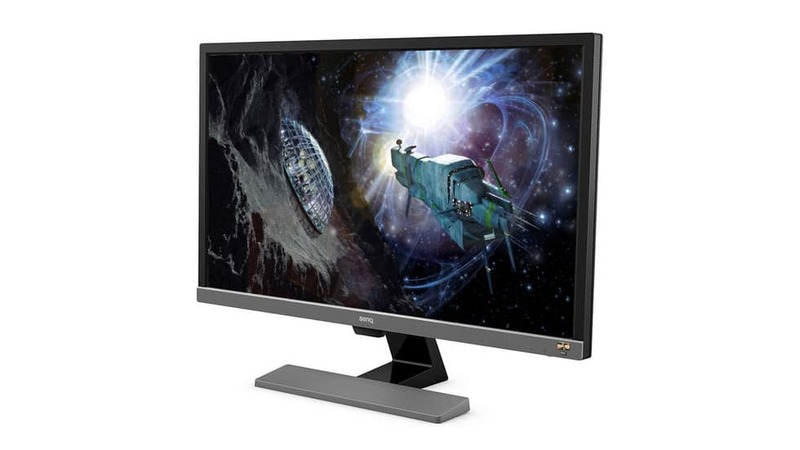 But even so, this is still one of the best budget 4K gaming monitors currently available, especially if you can catch it at a discount. It features a sturdy build, a neutral design, has a TN panel that offers better color reproduction than a usual TN panel does, and it is ultimately well-worth the price despite the aforementioned shortcomings. After all, it is not trying to be a cutting-edge monitor but a budget-friendly one. 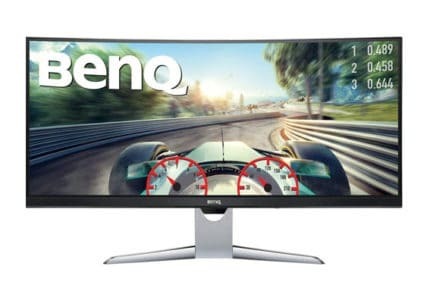 The BenQ EL2870U is an all-around great monitor that boasts a fast and good-looking 4K TN panel that offers great value for your money and is one of the best, if not the best budget 4K gaming monitor available right now.